The final cause of any thing or any action is the chief of its four causes for it is on account of the end that the other causes are activated. It is first in intention and last in execution; it exists first in the mind and, at the last, in what the mind produces. I desire to shelter my family. This moves me to build a house and, after much labour, I bring the house into existence. First I consider my family’s needs; then I adopt the means to secure them, and finally, I secure those needs. Local men desire to improve their town’s facilities. They apply their differing talents to the project and the facilities are improved. What existed first in their minds comes to exist in the real. From this we may gather that the Pope was not entirely sure just what it was the Council would achieve, though he had coined a word for what he had in mind, aggiornamento, which indicated that he thought the church should be ‘brought up-to-date’. What he did not have in mind—he was clear about it—was that the Church’s teaching should be refined or developed in any way. Next let us turn to what Pope Paul VI had to say at the Council’s close on 7th December 1965, and extract from it his understanding of what the Council had achieved. Perforce, the extract is somewhat lengthy. Let us note, first, the restatement of Pope John’s words: the Council’s focus was not the Church’s teachings. Its focus, rather, was rapprochement between the Church and man. The Catholic faith must adapt its teachings and its practice to the demands of the world. It does not seem to have occurred to either of the Popes or to the bishops that what they had striven for was the very opposite of what was appropriate. It is not for the Church to adapt herself to the world. The Church’s function is encourage man, to encourage the world, to adapt to her and her reasonable demands, for she is the One, the Unique, body in time and human history founded by God for man’s salvation. In the years that followed, Pope Paul and the bishops set to work to implement the Council’s focus on man. The novus ordo liturgy is part of that work. It has problems, problems that flow from its attempt to accommodate the faith that God established with the demands of the world. Let us consider some of them. First, there is the loss which the new form facilitates and encourages of the sense of the sanctity and the immense dignity of the priest as one set apart to take the place of Christ. The debasement flows from the Council’s misconception of the priesthood as a “function of the People of God”, as if that ineffable office depended for its legitimisation on the faithful; the view that Our Lord, at the beginning, “established ministers among his faithful” (Presbyterorum Ordinis n. 2). But Christ did no such thing. He chose and prepared the Apostles as priests long before there were any faithful—in order that there might be faithful. Second is the abandonment of the rigour that characterised the Church’s sacred liturgy of the Mass for almost twenty centuries in favour of a calculated laxity in imitation of the secular. The rigour in the strictures that attended readings, words and rubrics governing the celebration of the Mass ensured that God would be honoured in a seamless fashion, universally, as He deserves. The novus ordo indulges novelty and experimentation for its own sake. Third is the degradation of the Mass from a solemn exercise of the duty to give glory to God to a species of entertainment in which, as little more than an incident of the action—almost an afterthought—bread and wine are consecrated. It may be said that this overstates the case. Certainly, there are priests who conduct themselves becomingly as priests within the limitations of the new rite. But the average novus ordo priest seems to regard himself as a performer, the chief actor in a drama, with his vestments the necessary stage props. With official endorsement of the abuse which abandons the disposition ad orientem, the priest finds that he has a stage and an audience. The male and female assistants who throng the sanctuary provide a supporting cast. He has the opportunity for ‘business’, interpolating his own contributions in the drama’s text and directions. No wonder the members of congregations think themselves entitled, from time to time, to indulge in applause. When renegade Catholics abandoned the Mass in protest against Christ and His Church they were left with nothing but its paraphernalia. The pulpit replaced the altar and unctuous declamations of right replaced the eternal sacrifice. This is the aberration Trent addresses in the Canon cited above. Historian H.J.A. Sire has remarked how “the rich economy of salvation given us in the sacraments and the Mass is reduced to a religion of preaching at people”. He adds, acerbically, “If words were sufficient to bring men to Him, God would not have needed to become man and die for us; He could have founded a newspaper”. The scope given to preaching provides priests of Modernist inclinations (and their name is ‘legion’) with a platform in which to air their heterodoxy. How many faithful Catholics have said to themselves, “if only Father—— was prevented from preaching we could attend his Masses with impunity”? Fifth, and deserving of special mention, is the phenomenon of ‘prayers of the faithful’. 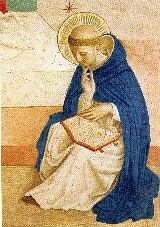 Such prayers were used at the time of the early Fathers and are referred to by St Justin and St Augustine. They were discontinued in the Roman rite with the realisation that they were unnecessary. The Church has for centuries confined the exclamation of specific prayers, the Great Intercessions, to a ceremony once a year on Good Friday, the one day of the year, be it noted, when no Mass is celebrated. In Sacrosanctum Concilium n. 50 the bishops of the Council directed that scope was to be given for restoration “to the earlier norm of the holy Fathers” of “elements which have suffered injury through accidents of history”. The suppression of these prayers was no accident but a step taken with sound theological understanding, shown by the fact that the Church adopted it as her permanent practice. Nor did it follow that, because a practice had once been followed by the Church Fathers, it should be resurrected. The Mass is the perfect act of impetration for the living and the dead, for it is Christ who is doing the praying. The ‘prayers of the faithful’ of the novus ordo are otiose. They are, moreover, tedious and repetitious. But the chief objection to them is that they denigrate the right understanding of the Mass as the central act of impetration. Typically, a deal of time is devoted to these intercessory prayers which should be given to the proper celebration of the Offertory (emasculated in the novus ordo) and to the Canon. Time which should be spent on the act of perfect impetration is wasted in a ceremony of imperfect impetration. In practice, the time so wasted moves the priest to adopt one or other of the shorter Eucharistic Prayers, a choice which diminishes further a right focus on the re-enactment of Christ’s sacrifice. The intercessory prayer ethos has affected, too, the offices of Morning Prayer and Evening Prayer—formerly Lauds and Vespers—the chief hours of the Divine Office, at the expense of two of the five psalms that marked those hours. The Divine Office is the Canticle of Praise of God brought into the world with the coming of Our Saviour Jesus Christ and continued by His Church. It is grounded in a tradition formalised by St Benedict of reciting each week all one hundred and fifty psalms. That tradition has been abandoned in favour of the recitation of a majority, but not all, of the 150, over four weeks with certain of the psalms shortened or emasculated. Other padding has been added by interpolating extracts, as if they were psalms or canticles, from the epistles and from the books of the Old Testament. The Office was always focussed on Christ’s sacrifice, and each hour reflected the Mass, as its aureole reflects the glory of the Sun, in the repetition of the Collect. This unity was fractured when the smorgasbord mentality of the novus ordo invited the use of other prayers. Sixth is the obsession with following seriatim, litterate et ad nauseam, the texts of Old and New Testaments in cycles (three years for Sundays, two years for weekdays) that disrupt the unity of the Church’s liturgical year. Why, after centuries of ordered access to those parts of sacred scripture that best suit the Church’s sacred liturgy, was it necessary to engage in a slavish study of every book in the Bible, large parts of which involve passages which are either tiresome or difficult? Why must the faithful bear the evil of dislocation to the Propers of the Mass that follows? Memorials of the saints are accompanied by readings mandated to satisfy this burdensome regime which are utterly inappropriate. There can be no explanation for the disorder that followed other than a perceived need to defer to Protestant views about the Bible. Seventh is the loss of the unifying principle entailed in the use of the common liturgical language, Latin. There is a species of theft involved in the removal of this mark of the universality of the religion whose name, Catholic, it signifies. The fracturing of the unity of his faith is patent for any member of the faithful who finds himself in a foreign country attending Mass in the vernacular. Eighth is the corresponding loss of the majesty of the solemn celebration of the Mass in the Gregorian form, something Catholics shared universally irrespective of country or local imperatives. This is made manifest, in its negation, by the mockeries of that majesty that accompany solemn celebrations of the novus ordo, where songs in imitation of the secular take the place of hymns, secular instruments replace the organ, and the ethos of the Mass as entertainment is most manifest. Ninth is the impertinence that characterises many novus ordo celebrations where a few appoint themselves, or are appointed, to dictate to the rest of the faithful how they should conduct themselves in the course of the liturgy. Abstracting from the right, and duty, to correct another when necessary no Catholic is entitled to do this. A feature of this abuse is the pressure to communicate with others during Mass whose bad example leads to a lack of silence and indulgence in conversation where respect for Almighty God demands the contrary—Vacate et videte quoniam ego sum Deus (Psalm 45 v.11). The unwarranted extension to all the faithful of the kiss of peace, a feature of High Mass confined to those on the sanctuary—deacon, sub-deacon and servers—where it reflected the loving cooperation of those assisting the priest in his presentation of Christ’s sacrifice, has no justification. The motivation seems to be to enhance the ethos of ‘the priesthood of the laity’ conceived, falsely, as a sharing in that of the priest, and further the endeavour to reduce the Mass to conformity with the secular. Tenth is the toleration of the abuse of women (or girls) on the sanctuary, to the permission of which novelty a pope allowed his preoccupation with ideology and deference to its adherents to destroy a tradition as old as the Church herself. Eleventh is the syndrome of desacralisation in which many novus ordo priests think themselves bound to indulge. Even the best feel they must be ‘hail-fellow-well-met’ in their behaviour towards the faithful. Many actively encourage the faithful to conduct themselves as if they were in a place no different from the secular, as if the real presence of Almighty God, their Creator and Saviour reserved in the church in the Blessed Sacrament, was no different to any natural presence. The prime offender, by his silence if not by his active encouragement, is the priest. The syndrome of desacralisation is part of the loss of sense of the dignity of the office of the priesthood mentioned above. At root is the absence of the Gift of the Holy Spirit called Filial Fear. There is no better illustration of the evils of deferring to the secular let loose by the bishops of Vatican II and the Pope who encouraged them. Twelfth is the raft of ersatz Eucharistic Prayers, the second, third and fourth of the ordinary form, and the novel versions authorised by the Vatican for various occasions. The smorgasbord mentality at work typifies the deference to the secular at the expense of the solemnity demanded by the re-enactment of Christ’s sacrifice. Thirteenth is the degradation of the Church’s solemn feast days. Days of Obligation have been diminished to the point where there is hardly a member of the faithful who recognises those that remain, or recognises his duty to attend Mass on such days. Solemn celebrations have been sidelined to accommodate the secular. Thus the Ascension has been moved from Ascension Thursday to the Sunday following and its celebration forty days after Christ’s Resurrection has been falsified. Corpus Christi has been moved from its appropriate day, a Thursday, in reflection of its institution on Holy Thursday, to a Sunday. The Mass for a feast or memorial that falls on the date of some secular celebration such as, in Australia, Australia Day and Anzac Day, is suppressed in favour of endorsement of some worldly event. Fourteenth is the reinvention of the liturgical calendar. Whatever the reasons given for this act of disruption, its motive would seem to be to show that the ‘new Church’, the Church that came into being after Vatican II, was discontinuous with the old. The chaos that has followed this revolution has only grown with the passage of time as innumerable saints of the new dispensation have been added to the calendar. In his recent paper, The New Synthesis of All Heresies, Peter Kwasniewski remarks the way Catholic values have been ‘transvalued’ as a result of Vatican II. We have argued elsewhere that it can be proven a priori and a posteriori that the Second Vatican Council was not a general or ecumenical council of the Church. If this is the case—and it is for the Church to pronounce verdict formally—none of the directives issued by the Council’s bishops, even though endorsed by Pope Paul VI, are binding on the Church or the faithful, for they lack legitimate authority. Its teachings, where they departed from the perennial teachings of the Church are no more than the collective opinions of its bishops. If this is the case there was no need to interfere with the Church’s liturgical practices; no need for a new order of the Mass. That is the chief problem with the novus ordo. Many Catholics are coming to the view that, with the increasing availability of the Extraordinary Form of the liturgy, they will submit themselves to the fatuities of the Ordinary Form no longer. Cf. https://onepeterfive.com/the-new-synthesis-of-all-heresies-on-nietzschean-catholicism/ May 16th, 2018.